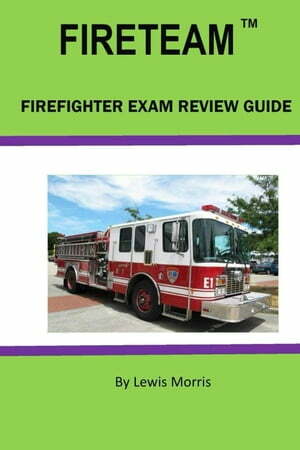 Collins Booksellers - FIRETEAM Firefighter Exam Review Guide by Lewis Morris, 9781386364672. Buy this book online. Learn how to pass the Fireteam Firefighter Exam and become a professional firefighter. The Fireteam Firefighter Exam Review Guide includes practice questions and instruction on how to tackle the specific subject areas on the Fireteam Firefighter Exam. Network4Learning has found the most up-to-date information to help you succeed in the Fireteam Exam. The Fireteam exam is used by hundreds of fire departments nationwide to select the best candidate for the job. Succeeding on this one exam can open up scores of job opportunities within professional firefighting. The New Fireteam Firefighter Exam Review Guide helps you prepare for the Exam by reviewing only the material found on the actual Exam. By cutting through anything unnecessary and avoiding generic chapters on material not tested, our Fireteam Test Prep Guide makes efficient use of your time. Our authors are experienced teachers who are constantly taking civil service exams and researching current methods in assessment. This research and experience allow us to create guides that are current and reflect the actual exam questions on the fireteam Firefighter Exam beautifully.